We have a fantastic Summer Dance Intensive taking place from 13 - 17 August for young people who live or study in Islington. It is FREE to attend, so please register to reserve your place. It is a great way to continue dancing over the Summer for FREE. The included styles are Afro-Fusion, Jazz, Contemporary, and Hip-Hop dance, and the programme is part of Islington Council's 'Launchpad' activities taking place over the Summer. Dance styles: Afro-Fusion, Jazz, Contemporary, and Hip-Hop dance. Artistry Youth Dance performed at the recent Cally Festival at the 'Bus Stop Dance Floor', hosted by the Urdang Academy and Sadler's Wells Theatre. The Caledonian Road event featured music, dance, art, and creative workshops, bringing the community together for an enjoyable day of live performances. Artistry Youth Dance is celebrating its 5th anniversary on the 14th April!! We are thankful for our dancers, teachers, choreographers, venues, sponsors, and supporters for helping us get this far!! Check out this video made in honour of this wonderful occasion! We took part in a fantastic project with youth music company, Youthsayers to create a piece for 'Tune-D In'. the project was a brilliant initiative led by producer, Hakeem Onibudo, and culminated in a performance at the The Place in London on Saturday 7th April, 2018. Our dancers worked alongside the talented musicians of Youthsayers, who created an original track for the piece. Choreographed by Company dancer, Jasmine Tripp, in collaboration with the dancers, the young people performed an emotional piece inspired by the residents of the Grenfell Tower. A huge thanks to the team at Youthsayers, the incredible musicians, and the wonderful dancers. All the students involved did an incredible performance, and we look forward to more collaborative opportunities in the future. The dancers had a fantastic Caribbean dance workshop led by Irie Dance. It was a great way to be introduced to the work that Irie Dance do. The company will be launching a new BA (Hons) Degree next year in Diverse Dance Styles, and we were one of the first people to learn about this 'hot off the press' news. Welcome to our 2017 teachers! This term we have a fantastic line-up of teachers working with the dancers! Damien was born in Dallas, Texas and received his training from Etgen-Atkinson School of Ballet and the Booker T. Washington School of the Arts. He then studied on a full scholarship at the School of American Ballet. In 2002, Damien joined the American Repertory Ballet and then the Dance Theater of Harlem Ensemble in 2003. He first joined Ballet Black in 2005 before moving to Los Angeles Ballet in 2008. Damien returned to Ballet Black in 2009. As the longest serving member of Ballet Black, Damien has been featured in many Company works by choreographers that include Irek Mukhamedov, Liam Scarlett, Richard Alston and Javier de Frutos, and created the title role of Orpheusin Will Tuckett’s 2011 production for Ballet Black. He created the roles of The Lover in Christopher Hampson’s Storyville (2012), The Soldier in Christopher Marney’s War Letters in 2013, Oberon in Arthur Pita’s Ballet Black production of A Dream Within a Midsummer Night’s Dream (2014) and The Ruler in Second Coming (Mark Bruce in 2015). Damien is also a sought-after teacher and is Ballet Master for the Ballet Black Company and Associate Programme. Heather trained with Norma’s Academy of Dance, The Atlanta Ballet Centre of Dance, Total Dance and Dancical Productions. She received a B.F.A. in Dance from The Florida State University and went on to become a professional dancer for a multitude of companies: Dallas Black Dance Theatre II, Urban Bush Women and Philadanco! (The Philadelphia Dance Company). In 2013, Heather was an original cast member of The Apollo Theater’s (NYC) James Brown: Get on the Good Foot and now resides in London. Heather continues to teach Horton Technique weekly at Danceworks and serves as a resident instructor for Artistry Youth Dance and Transform! Dance and a guest tutor for the WAC Arts Diploma Programme. Heather’s class brings excitement and dynamic musicality to the Horton technique! Originally from Ugie, South Africa, Mbulelo Ndabeni is a London-based dancer, choreographer, movement director, teacher, founder and director of Mbulelo Ndabeni | N'da dance. One Dance UK/DAD Trailblazer 2015-2016, One Dance UK mentoring Programme 2015-2016, Phoenix Dance Theatre's Choreographers and Composer's Lab 2015 and recipient of Dancer's Career Development fund. Mbulelo trained in Dance For All, Khayelitsha in Cape Town, London Studio Centre, San Francisco Academy of Ballet and Kaatsbaan, New York. Mbulelo Ndabeni has performed with companies such as Rambert, 'Henri Oguike, Merce Cunningham, Itzik Galili, Mark Baldwin and Christopher Bruce', Matthew Bourne's Swan Lake, Cape Town City Ballet 'Veronica Peaper, Sean Bovim and Rudy Van Danzig', Cape Dance Company 'Christopher Huggins', Company Chameleon 'Anthony Missen', Longborough Festival Opera 'Didy Veldman' and Company Wayne McGregor. In doing so, Mbulelo has gained valuable experience and skills over many years of working with the top U.K companies and organisations including the Royal Shakespeare Company as well as award winning international artists such as ladysmith Black Mambazo and Goshka Macuga. We held our second Summer Intensive programme from Monday 14 - Friday 18 August, 2017. It was delivered on behalf of Islington Council as part of their 'Launchpad' Summer activities, and was free for young people who lived or studied in Islington, aged 16 -24 years. 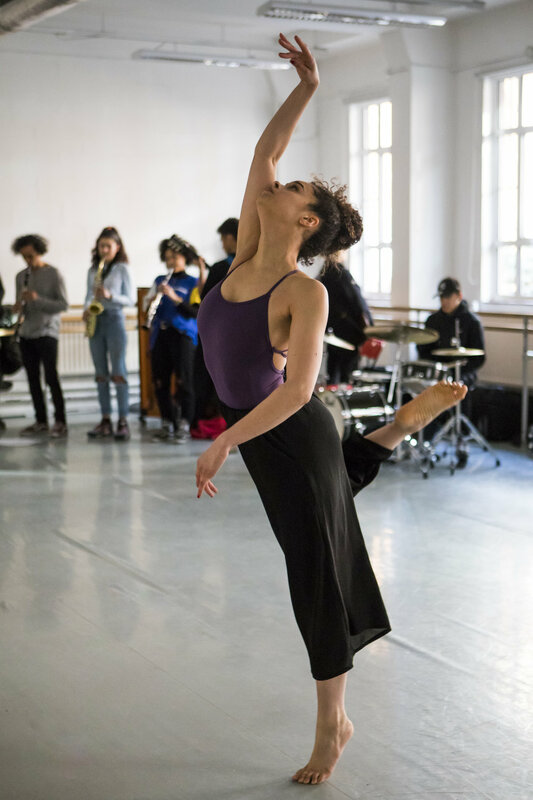 The exciting programme, saw the young people have workshops in Jazz led by Kamara Gray, Hip-Hop with Yami 'Rowdy' Lofvenberg, Afro-Fusion with Sheila Attah, Contemporary Dance with Sarita Piotrowski, and Dance Business with Tomorr Kokona on behalf of One Dance UK. We even had the chance to attend the West End production of 'Dream Girls', which was a wonderful experience for all involved. A great week of dance, and we look forward to next year's event. Thanks to everyone who attended, and thank you to Islington Council and Launchpad for the opportunity to host such a great event. We'd also like to express a special thanks to City and Islington College, who provided the fantastic dance space for the Intensive. Check out this highlights video of what took place during the week! 'EMPOWERMENT' - THANK YOU FOR YOUR FANTASTIC SUPPORT! Thank you to everyone who attended our end of year dance showcase, 'Empowerment', on Monday 7th August. We are grateful to those who were in the audience, and to those who sent messages of support. The dancers put on a spectacular show and presented several pieces in Jazz, Contemporary, Horton Technique, and Caribbean dance styles. The pieces were choreographed by Kamara Gray, Heather Benson, and guest choreographers Shelley Maxwell, and Alleyne Dance. 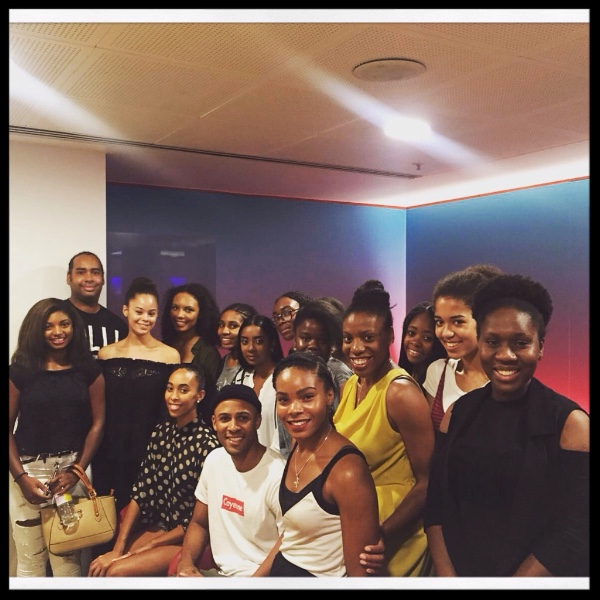 The evening was hosted by the talented Simone Daley-Richards. The showcase also featured a Special Guest performance by Nafisah Baba, winner of the BBC Young Dancer of the Year Award. Nafisah presented a breathtaking solo that highlighted the struggles faced when she was in school, about whether to pursue sports, netball or dance. The audience included the Worshipful the Mayor of Islington, Councillor Una O'Halloran, Islington Deputy Young Mayor, Tega Agbede, and Islington Youth Councillor Honey Baker, who gave positive feedback for the performance. We would like to thank the Islington Council Local Initiatives Fund for their support; our patron Namron OBE; Lighting Designer, Neill Brinkworth; Sound Technician, Amina Njalira; Photography team led by Carole Edrich; The Student Support team; City and Islington College; the Executive Team, Nicholas Norman, and Tahlia Gray; the dancers, parents, and the wonderful audience. The event was thoroughly enjoyed by all and we look forward to presenting future performances. Artistry Youth Dance present their end of year dance showcase entitled ‘Empowerment’. The evening will feature exciting work by a selection of choreographers, including Kamara Gray, Heather Benson, Shelley Maxwell, and guest choreographer Alleyne Dance. Kristina and Sadé Alleyne presents Alleyne Dance, an internationally touring, innovative, modern, multi disciplined dance company based in London. Kristina and Sadé have worked with many companies across the years and trained in many genres of dance including traditional African dance, Hip Hop, Kathak, Latin and Circus Skills. The programme will also feature a special guest performance by Nafisah Baba, winner of the BBC Young Dancer of the Year Award. The event is supported by the Islington Council Local Initiatives Fund. Artistry Youth Dance - Summer Dance Intensive! REGISTER NOW! Seeking dancers of African & Caribbean descent, aged 14-25 years to join our successful youth dance company! This year, we're accepting dancers up to age 25! Don't miss out! Our final performance for the term was at the Brit School’s ‘+Push' Performing Arts Festival. The Festival was an evening of exciting performances from London schools, colleges, and youth dance companies. It was a great event to have been involved with, and a wonderful chance for the dancers to further showcase their dance and performances skills. A special thanks to the Brit School for programming us in their exciting show. We were invited to perform at this year’s ‘Move It’ exhibition, the UK's biggest dance event. Over 28 000 visitors attended the 3-day event which featured performances, workshops, and everything dance. We were delighted to feature as VIP guest artists at the new Move It and Capezio Dance Championships stage. The dancers presented their compelling Contemporary Caribbean piece, 'Empowerment', choreographed by the talented Shelley Maxwell. For the second year in succession, we were guest performers at ‘Blaze’, a unique dance event run by Trinity Laban. Blaze is an interactive day of dance for girls aged 11-16 years, aimed to encourage them to participate in dance. The day featured performances by female dancers in order to inspire the participants. Audience members stated that their highlight of the event was ‘being able to watch all of the different performances’. A huge thank you to Trinity Laban for including us in such an uplifting event. Wishing you a joyous Festive Season and best wishes for the New Year! We know that everyone's doing them so we thought we'd do our own Mannequin Challenge! Filmed at our end of term Watching Day. A special thanks to the parents and audience members who took part as well! Filmed by Carole Edrich. Watch highlights of our showcase, 'Resilience'!